As well as this ribbed pattern, the front pipes have a stencilled pattern, at least, that is what they look like. 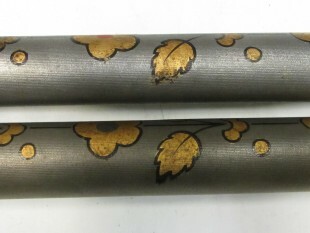 An examination of the front pipes shows that the outlines are painted freehand, over areas of gilding. The effect is delightful.